Hit the mountain like a prizefighter in a bar fight on the super poppy and punchy Rome Mod RK1 Stale Snowboard. Decked out with custom graphics for Stale Sandbech, this top-shelf cambered deck is made to rip and fly with the best of 'em. Ride the park like you own the place or pull a crazy line out of your bag of tricks on one and a half meters of crazy with the Rome Mod RK1 Stale Snowboard. Stay Positive Camber – The reason why snowboarders like Stale, Ozzy, Bjorn, and Alek like pure positive camber is for the high level of response it delivers. It loads rider energy and releases it with a distinctive feel for precision and power to carve, pop, stomp, and lock. AirPop Superlight Core Matrix – Starting with the responsive “pop” of poplar laminates, Rome integrates five zones of low-density, ultra light wood to reduce weight, then adds air channels to make it even lighter. SuperlightBiax Carbon Laminate – A lightweight matrix of 0 and 90 degree fibers is the foundation of this freestyle feel. Added carbon gives the board more ollie pop and edge control for a powerful ride. 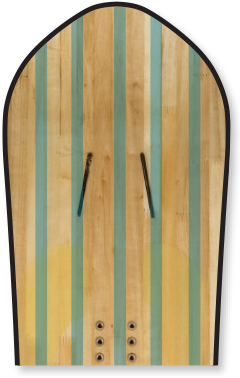 Carbon Reverse Radial V – This pattern features arcs that start under the bindings and bend towards the middle of the board at the contact points in the nose and tail. This focuses rider energy in the middle of the board for added ollie pop. 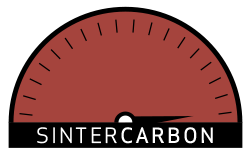 SinterCarbon Base – For Rome's fastest boards, they take a high-end sintered structure and add carbon to increase the speed. Carbon additives reduce friction with the snow, which make the board go even faster.